Stanczyk ‘s paternal / ELIASZ grandfather (and great-grandfather and great-great-grandfather) were born in Pacanow. Also recently, a third genealogist contacted this blog about our shared ZASUCHA (from Pacanow) research. This genealogist confirmed to this jester that Pacanow-Niagara Falls-Cleveland-Michigan were Pacanow/Zasucha enclaves for her family. 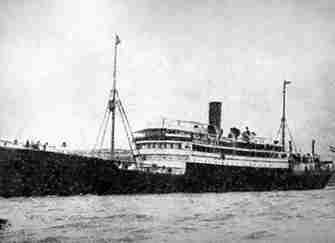 Besides the normal genbaza church records (Pacanow), the Ancestry/Family Search/Ellis Island (USA records), https://fultonsearch.org proved very useful for the NY Zasucha. This jester is now in a massive Social Network Analysis research in an effort to sort the Zasucha trees in order to merge the complete Zasucha into the Eliasz/Leszczynski et. al. Family Tree. Let me leave you readers with a 1930 Poland Business Directory page for Pacanow. Stanczyk loves reading genealogy magazines / e-zines. In particular, William Hoffman’s monthly, Gen Dobry. This month(November 30th, 2018), had an email written about the Russo-Japan War 1904-1905 and this genealogist/tour-guide published his findings from “Kielce Gazeta” on his website which was informed to readers of Gen Dobry. So this jester, thinks I go looking through 1904,1905,1906 years of Kielce Gazeta looking for the pictures of these war time announcements. It is while doing this that I found today’s article whilst I was searching for those war announcements. It seems war & epidemics are the biggest contributors to genealogy events, in particular deaths! So look back at the image, inside the red box. The word that caught my eye was: “Szkarlatyna“. It means scarlet fever. 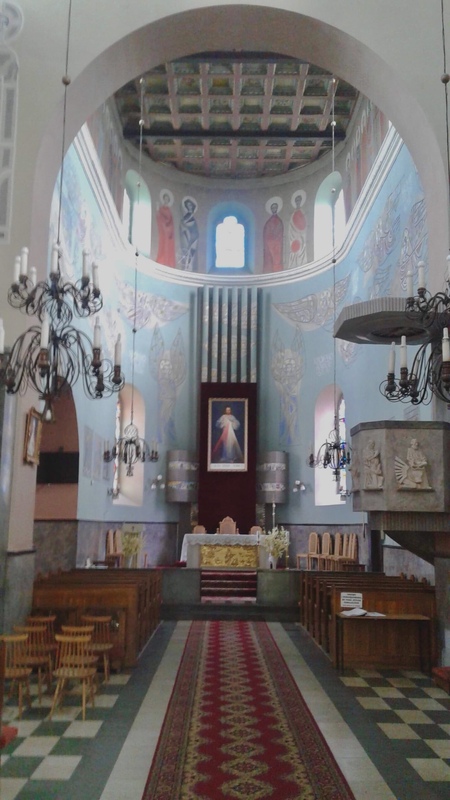 It also noted in the village if Beszowa. So both of these drew my eye since an epidemic in a nearby ancestral village can have repercussions. I noted how the 1831 Cholera epidemic in my grandmother’s village, Biechów was responsible for one in two deaths that year. In the village of Beszowa, in the last 6 weeks, 29 children were registered for scarlet fever. Of this number, 5 “oro”(??) children died. The district doctor has taken vigorous measures to stop this epidemic. Perhaps oro was a typo. But 5 (or about 5) children died. This is from the, Kielce Gazeta, March 4th 1906 issue. By the way, Stanczyk has seen these epidemic outbreaks in Kielce Gazeta before and in EVERY case, “The district doctor has taken vigorous measures to stop this epidemic.” That seems to be routine phrasing to keep the populace from panicking. The point is if you research deaths in 1906 Beszowa, then keep an eye out for those five children. If they are yours then today’s image is for your family history! 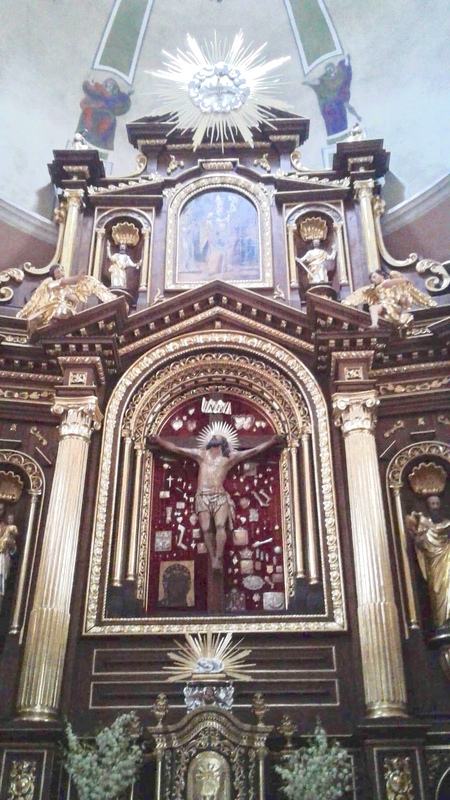 I was curious about what he was trying to show me so I went there to polona.pl . I searched for “poborowi” and did not find anything interesting. So on a lark, I searched for “Pacanow” and I found many results, but one had “Pacanow, Marcin Elijasz” in its matches. Well it was for a 1879 newspaper and I figured there were not that many Marcin Eliasz in Pacanów in 1879 (only two I knew of). So I followed the link. Imagine when I saw a crime tale about a horse thief! My 60 year old great-great-grandfather Marcin Elijasz and <?> Grudzien (a family friend) were two Pacanów townsmen. The crime tale continued onto the newspaper’s second page. It was there that Google Translator and other online computer translations failed me. So I turned to the Facebook Group, Genealogy Translations . I was frustrated by the lapse in translation around the items of violence. Fortunately, for me, William F. Hoffman (aka “Fred”), the author of many genealogy translation books and names book fame pitched in to complete the translation. Here is what the second page of the article looked like, along with Fred’s translation of the horse thievery story. Dateline 24-August-2015 — Two days ago this announcement / presswire was published: here . It said that more than 80 newspapers would be digitized and brought online. Now, I am thinking this will not be in Ancestry.com, but in their other product: Newspapers.com (thus requiring you to subscribe to two offerings). Already this collaboration has born fruit in that Cinncinati Enquirer has 4 million pages available online. Now this jester went to Gannett’s website and saw that they have 95 U.S. newspapers (not including USA Today) covering about 2/3 of the U.S. states. Michigan, Ohio, New York, Pennsylvania, Indiana, California, Texas, Wisconsin have at least one newspaper each. Each archive will ultimately include every available page from the first date of publication up to about 30 days prior (to the present? or the announcement?). 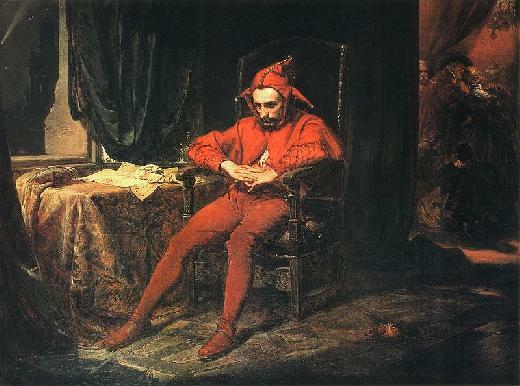 This jester is waiting for the Detroit Free Press (MI) and Times Recorder Zanesville (OH) where I expect to find some ancestors in the news. They do not have a Buffalo or Philadelphia paper nor are there any newspapers in Illinois, but they cover a large swath of areas where my ancestors settled. Dateline April 22, 1920 (22 Kwietnia 1920 r.) — In the waning days of World War I, Jozef Haller‘s army had to get from France back to Poland. Once back in Poland, they were able augment their forces with Polish Volunteers. That should not be a surprise. But did you know that Polish women too volunteered to fight in Haller’s Army? They were part of the forces that fought and defeated the Bolsheviks at Warsaw during the Russian-Poland Border War that followed World War I.
Stanczyk has been exploring Newspapers.com. I am a bit disappointed at its overall effectiveness, which I attribute to poor OCR capabilities and a difficult user interface that provides a disappointing user experience (UX). However, it is not without its redeeming qualities. For example Newspaper.com has a Clipping capability which produces a PDF document that you can share in social network web sites or even make public in Newspapers.com to attract others doing similar research. So today’s blog article is about that clipping capability. The above is from Stanczyk’s twitter post and you need to follow the link to see the PDF clipping on Newspapers.com. Please do me a favor and click the link and let me know whether you see the clipping and can download it. Please email me back your results. Thanks! Stanczyk, thanks Buz Kuzan for working with me to get the “Clippings” to be accessible. The links should work no matter who you are. Check out the “Comments on this article” for a couple more clippings! Yesterday’s (1st July 2013) Philadelphia Inquirer [go to your local library] had a reproduction of their newspaper from 1863 commemorating the 150th anniversary of the Battle of Gettysburg. This is running now along with the Welcome America Festival in Philly. There are Civil War reenactments this week in Gettysburg. I mentioned Tom Tryniski, the owner of FultonHistory.com whose Herculean efforts provides us with 21.8 Million pages to search through. Today, I wanted to extend to Tom, the offer to correspond (click on the Post Missive picture on this blog page). I have been an Historical Newspaper fan ever since I found my grandparents and the birth of my uncle mentioned in Dziennik Polski (Detroit). So I am hoping for a discussion on what Roots Tech he uses to maintain his website. Stanczyk after all is a STEM worker and loves IT (that is Information Technology, not ‘it’). That is my offer – an interchange of ideas and perhaps a blog article. Tom, if you are looking for ideas on Newspapers to scan (in the NY region), how about the Buffalo area newspaper: Dziennik dla Wszystkich (= Everybody’s Daily). Come on help this Polish jester out! Just a reminder, the Library of Congress ‘s Chronicling America projects lists about 220 Polish language, Historical Newspapers [Polskie Gazety językowe] (that it has holdings of?). These were Albion (Calhoun County, Michigan) Zasucha. If the owner of Brubaker and Zasucha Family Tree (silverandsienna) would like to compare notes on these Zasucha and/or Pacanow, then please by all means email me or comment on this blog post. Adam Ziglicki, Josef Ziglicki, and (Filip Kulczyki brother-in-law of Adam Ziglicki). The Ziglickich are intermarried to Eliaszow/Elijaszow in Pacanow (hence an affiliated family). Finally, there was a Rozalia Zasucha last residence Samsonow, coming from her mother, J. Zasucha living in Komorow to her brother-in-law Wawrz. Berusad(sp?) at 239 11th street in Niagara Falls on 7/1/1913 (SS Gothland). Now Komorow is a village in Pacanow parish. Samsonow is also related to my family tree as a residence for some Kedzierski related to my grand-uncle John’s wife, Pelagia. There is also a Feliks Zasucha at 239 11th street (who was son of Adam, going to brother Michal) at 239 11th street. So I am thinking I am going to add Rozalia to the Adam children [Michal, John, Karol, Marya, and Feliks] which are very connected to my ELIASZ family. I am now guessing that Wawrz. (short for Wawrzeniec = Lawrence = Lawrenty) perhaps married Marya Zasucha (a theory I will need to test and verify). So … any Zasucha out there? Particularly, the children of Adam [Michal, John, Karol, Marya, Feliks and now Rozalia] Zasucha. Let’s trade missives. The Social Network Analysis is trending towards a deeply connected family tree. Two other ELIASZ surfaced in this SNA research. Tomasz Eliasz (b. 6 September 1881 in Pacanow) son of Ludwik Elijasz. There was also a Stanley Eliasz (I believe a theater owner in Buffalo) who I believe was a cousin to my grandfather, but not the cousin that came to Detroit (aka Stanley Elyasz) who was the son a Martin Elijasz and Julianna Odomski. Tomasz was a 1st cousin twice removed and is in the family tree. I am aware of Stanley Eliasz (Buffalo theater owner) and his family, but as yet I have not been able to connect him to my tree. I think Stanley is also fairly closely related to our Detroit/Pacanow Eliasz family. It was interesting to see him turn up in the SNA (via City Directories). SNA seems to find some very interesting and unknown familial relationships. At the very least it provides the fodder for future research to break through those genealogical “brick walls”. Please drop me a missive and let me know if you are using this technique and what successes you have had. Stanczyk is a Library of Congress (LOC) researcher. Mostly, I have done my research in the Madison building where they keep the Newspapers / Periodicals. 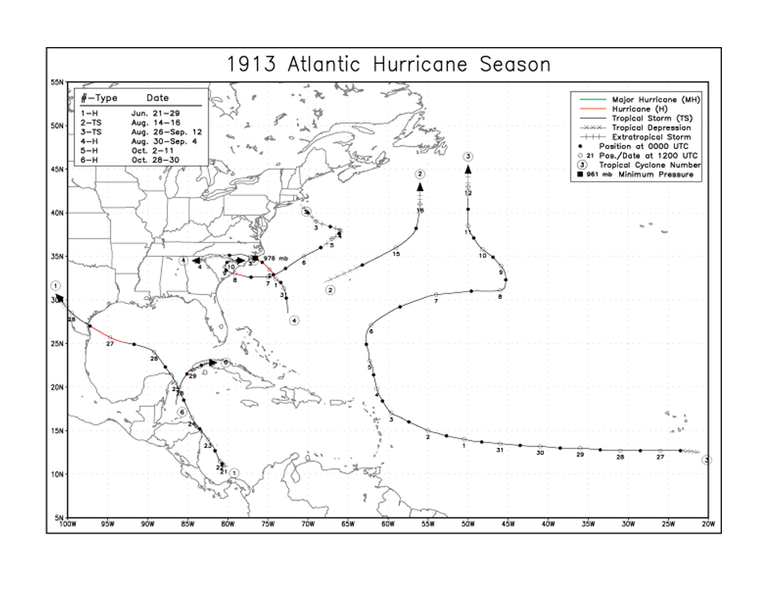 Today they (LOC) sent me an email announcing another 100+ newspapers digitized with another 550,000+ new digitzed pages available via their Chronicling America – Historical Newspaper program. I have written about this worthy program before. 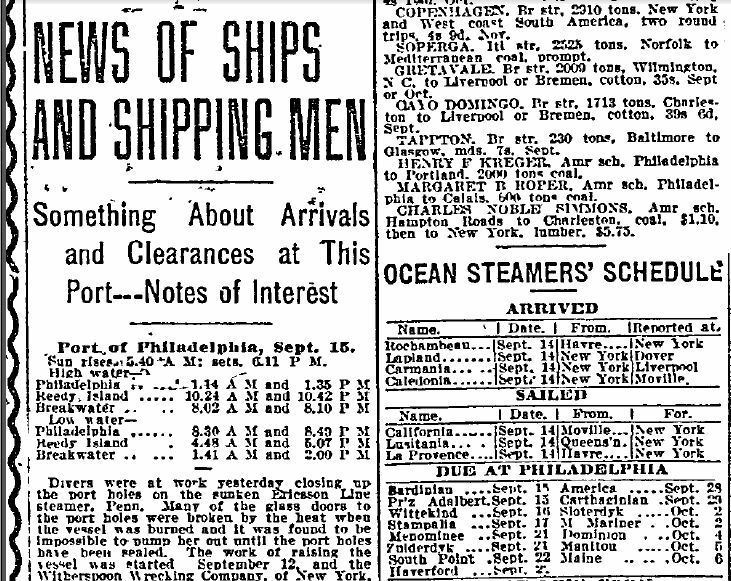 Whether you research history or genealogy, these newspapers can be of help and providing evidence or even just adding a context to your ancestors. Did you know that the LOC has over 220 Polish language newspapers on microfilm (and/or digitized)? 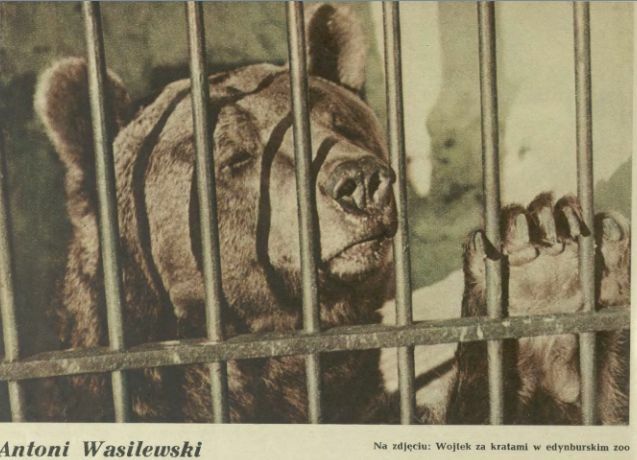 To help out the Polish Genealogists, I have compiled and published a list of the LOC’s Polish Language Newspapers: here . Make newspapers a part of your research to fill the gaps or to provide context! Stanczyk once did a RAOGK to Mount Vernon Cemetery (Philadelphia) . Sharon DuBois wanted to know more and sent a comment to my original article (5/31/2010). Sharon, you are calling the phone #: 215-229-6038 (from Find-A-Grave — see first link above), I assume correct? Back in 2010, I was met by a caretaker named Norman (last name unknown to me). I felt for Norman. It was obvious he had taken over caretaker duties and his budget was less than “shoestring”. The cemetery back in 2010 had become overgrown. I was kind to Norman and effusive in my thanks for allowing me to commune with the Seipp family — which he led me to [ You would not be able to find anything without Norman’s help]. It reminded me of the cemetery crisis that happened in MI a few years back. In the last 18 months a few other Philadelphia cemeteries have been “saved” or at least adopted. My advice is to start with Philadelphia City Hall – Orphan’s court to find who has “ownership”. I hate to to tell Sharon that her deed for two lots, are at present, probably worthless. The area is a bit decrepit. As I said the cemetery is unkempt and overgrown — not the kind of place that I would want for me or any of my ancestors for all eternity. I cannot see myself ever going back to it. Perhaps the funds are now gone and there is no longer any caretaker. I cannot say, since it has been two years since I visited the cemetery. In a related comment, I would like to tell an email/Find-A-Grave contributor named Meges that I did request an update to Elizabeth Seipp d. 19-October-1918, with the obit you found from the Philadelphia Inquirer — I cut/pasted what you sent me. This was a memorial for the Seipp family who are buried at Mount Vernon Cemetery. According to: NYSE EuroNext, and also mentioned on MSNBC. H.E. Bronislaw Komorowski, President of the Republic of Poland, visits the NYSE. In honor of the occasion, H.E. Bronislaw Komorowski rings The Opening BellSM. Hooray for Polonia! Welcome to NYC and the USA, President Komorowski. Wall Street and I am sure a UN meeting — a good ally of the USA. Stanczyk just loves books and if you are like me, then there is no greater place to go and see books, periodicals, or microfilm, than the Library of Congress (LOC). 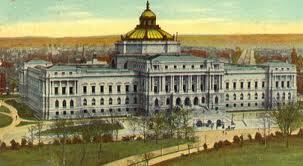 The Library of Congress is in Washington D.C. and is really a complex of three buildings just off the National Mall. When I visited the LOC, I was struck by the magnificent edifice that we hold the nation’s books in. Truly it is a Palace of Books. It has come a long way since it was just President Jefferson’s bequeathed book collection. The LOC has some interesting online resources: reading rooms (genealogy), Chronicling America (previously written about), National Digital Newspaper Program, and Flickr Photo Stream. The newspaper & periodical reading room is in the Madison Building. Thankfully the LOC is tech savvy and so much material is available online. Make the most of your summer combine your research with your vacation (or vice versa). Oh, just prepare for your research (which you should always do) before you go. Stanczyk was reading the Genealogical Society of PA email/newsletter. They were talking about the Library of Congress’ (LOC) Chronicling America program. This program is about saving/collecting/digitizing Historical US Newspapers, including Ethnic Language (i.e. Polish) newspapers. Casual readers of Stanczyk will realize that I favor using Historical newspapers to fill in gaps or to provide context in your family history. 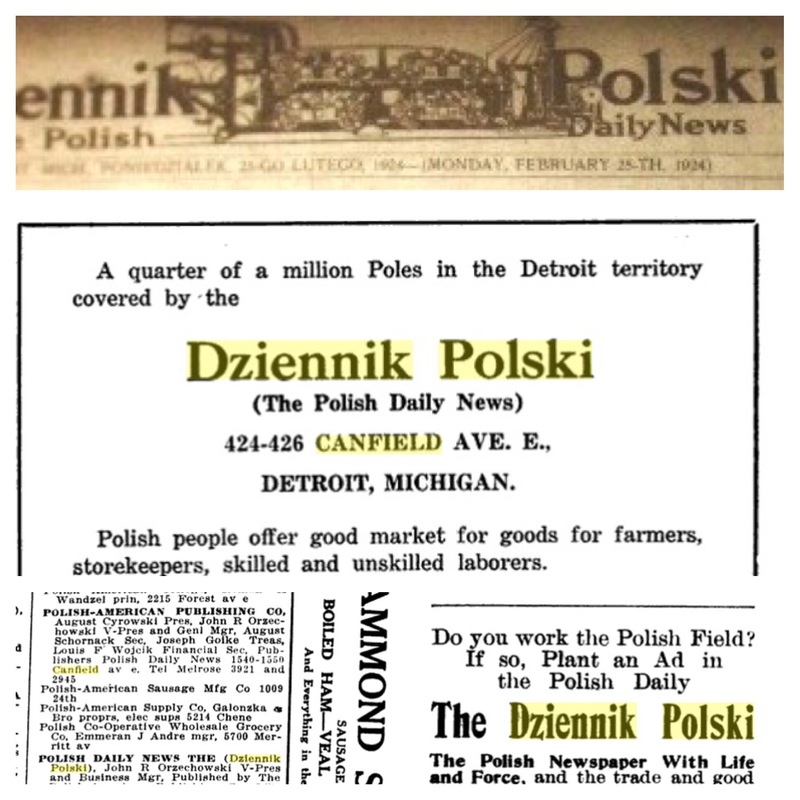 My own ojciec (father) told me about an ethnic newspaper (Dziennik Polski) that his mother used to read daily in Detroit. That was over a meal the night before Stanczyk was going to the state of Michigan’s Library & Archives and I had plans to read microfilm of Dziennik Polski. So, on the basis of this kismet I searched Dziennik Polski and the first time I searched, I found my grandmother listed as a mother giving birth to a baby boy (my uncle Ted) and it listed the address where my grandparents lived so I was able to confirm it was my family. Thereafter, I was hooked on Historical newspapers. 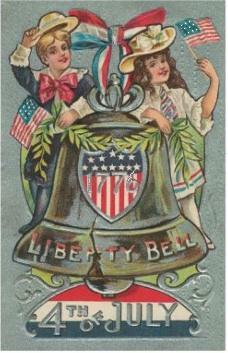 Happy and Blessed 4th of July everyone ! That is when I found this funeral ad. This I knew in a minute when I saw, as it was very familiar from reading the Dziennik Polski (Detroit) ethnic newspaper, which is itself an historic newspaper now. At any rate, I hate to leave vital records behind and since this was the only vital record in the 4 pages of the Gazeta Kielecka, I could afford to spend some of my effort to help some other poor genealogist(s). Poor Jozefa was survived by her husband and children (no names provided). She died in Pinczow on January 17th, 1899 at the age of 37 (born/ur. 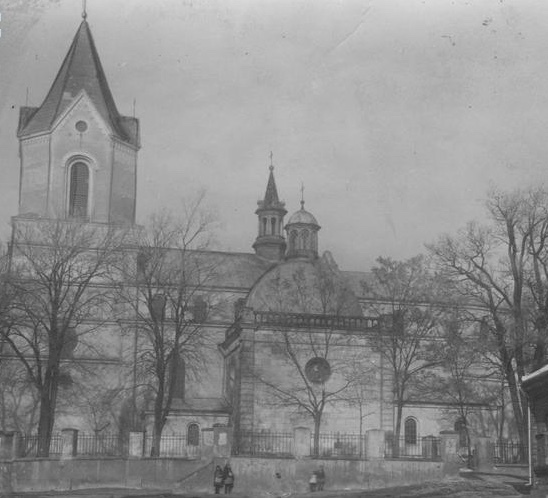 about 1862). Her maiden name was Baranow (Baranowskich family) and married name was Pogorzelska. It is unclear to me whether she was the wife of a duty collector or whether her occupation was duty/excise tax collector (inspektora akcyzy).